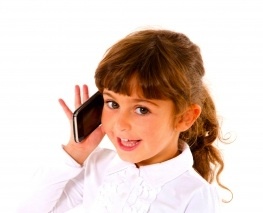 When You Can't Be There: 20 Ways to Stay Connected to Your Children - Parenting Expert, Susan Newman Ph.D. When You Can't Be There: 20 Ways to Stay Connected to Your Children - Parenting Expert, Susan Newman Ph.D. It is a dilemma most working parents face: How do you fulfill your job commitments without cheating your home life? How do you stay connected to your children? According to the U.S. Department of Labor, 79 percent of mothers with school age children work; and of these mothers, over 65 percent have children age six or younger. A study by the National Sleep Foundation reports that the average American works a 46-hour week; more surprisingly, 38 percent of these respondents worked more than 50 hours per week. Spending so much time at work can make you feel out of touch with your children. The feeling is compounded if you travel for business as well. Instead of worrying, use the time you have to reconnect in these simple, yet meaningful ways. Strong connections can be made when you are at the office, out of town, or simply crunched for time at home. 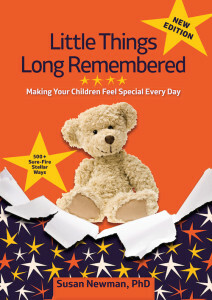 During the years of research for Little Things Long Remembered, I discovered that small gestures, rituals or spur-of-the-moment adventures bring parents and children closer in hectic and pressured times. It seems like an unrealistic challenge — making your child feel your presence when you are away from home, but little things like hearing your voice or being allowed to use your belongings serve as reminders that you are not too far. Your child will miss you less or have less negative feelings about your traveling if you put some of these connecting gestures to work. Some of these ideas may seem obvious — others will be new to your family. 5. Now and then allow your child to sleep in your bed as an extra privilege when you are traveling. 7. While you are out of town, lend your child something—a pen, hat, gloves, radio-that you use frequently. Give him one of your T-shirts to sleep in. 9. Bring home something to give to your child. Even a free pad of paper, pen, or shampoo from a hotel room that may seem meaningless to you, often becomes a child’s prized possession. 10. When you finally arrive home, plan a simple celebration in honor of your return: a favorite meal, treat, or activity to do together. 14. Select a computer or board game and play it regularly; when appropriate keep an ongoing score. For younger children promise a game of Chutes and Ladders or Candy Land; for older children Monopoly, basketball or Scrabble. Leave game boards or puzzles set up for the next round or to add puzzle pieces before or after dinner. 17. When your child least expects it, take him to the store and buy something he’s been longing to own. 18. Use chauffeuring time wisely: Talk with your child instead of listening to the radio. 19. Cook something together at least once a month — pancakes, cookies, muffins — recipes that call for simple preparation so your children can help. 20. Remember that you don’t always have to be doing something with your children. Just being home and in the same room is often enough. Although you are trying to please your children who see less of you than you would like, these suggestions will also make your life less stressful and reduce some of the guilt you may have. For the long haul, it is the little things that get etched into children’s minds and are long remembered.